Virginia Savage McAlester is an American author, architectural historian, preservationist, and political activist. 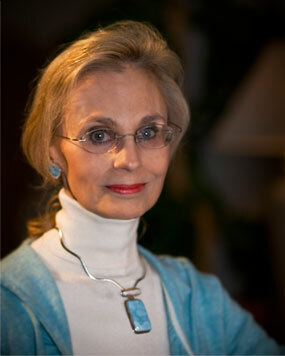 She is best known for her book A Field Guide to American Houses, a standard guide to American home styles. McAlester has an undergraduate degree from Harvard University where she attended Radcliffe College and completed the first year curriculum of the Harvard Graduate School of Design. Her first major work was A Field Guide to American Houses (1984), written with her then-husband Lee McAlester. Using text, line drawings and photos, the book breaks down each American house style in a clear, concise manner suitable for amateurs, students, and professionals; it has since become a standard text on American home-architecture and remains widely considered the first and best such book. It was named one of 1984’s ten most outstanding reference books by the American Library Association and received an honor award from the National Trust for Historic Preservation. In late 2013, a revised, updated, and greatly expanded second edition will be released. Her other books include Great American Houses and their Architectural Styles; A Field Guide to America’s Historic Neighborhoods and Museum Houses: The Western States; and Homes of Park Cities, Dallas: Great American Suburbs. McAlester has been a leader in historic preservation, both nationally and in her hometown of Dallas. In 1984, she formed an advocacy group called Friends of Fair Park that successfully petitioned to protect and preserve the permanent buildings in Fair Park, the Dallas site of the Texas State Fair and Cotton Bowl. These buildings, originally constructed for the 1936 Texas Centennial Exposition, remain one of the largest collections of Art Deco architecture, art and sculpture in the world. McAlester was also a founding member of Preservation Dallas (formerly the Historic Preservation League) and served on the planning committee for the State-Thomas neighborhood, which re-introduced the concept of dense mid-rise residential development with ground-level retail. She serves as an Adviser Emeritii for The National Trust for Historic Preservation, and has served on the board of Preservation Dallas, and on The Dallas Landmark Commission.